Fall is such a delectable season; the changing leaves, the classic comfort food dishes… it should be enjoyed to the fullest! ‘Tis also the season for warm apple cider, chai tea lattes, vanilla & spice scented candles, and pumpkin-flavored everything! When the seasons change, so does your skin. If you’re like me and have combination skin, you may notice it leaning more towards the dry/flaky side. On the other hand, if your skin type is oily, you might find yourself a little closer to normal skin when fall rolls around. With October’s chilly weather, my skin is already starting to get a little bit dry and flaky, so it’s the perfect time to start adding extra moisturize back into my skincare routine. 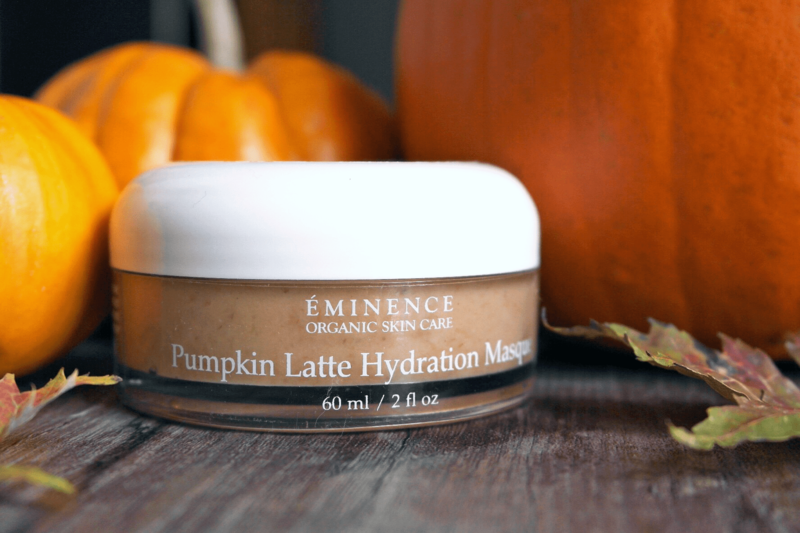 This also means that I get to indulge in one of my favorite fall traditions: treating myself to the Pumpkin Latte Hydration Masque from Éminence Organics. It is pumpkin season after all! When you’re carving out Jack-o’-lanterns for Halloween, you’re probably unaware of all the skincare benefits they hold. Not only are these beautiful gourds delicious, but they’re also rich in enzymes, beta-carotene, amino acids and antioxidants which can do wonders for your complexion. 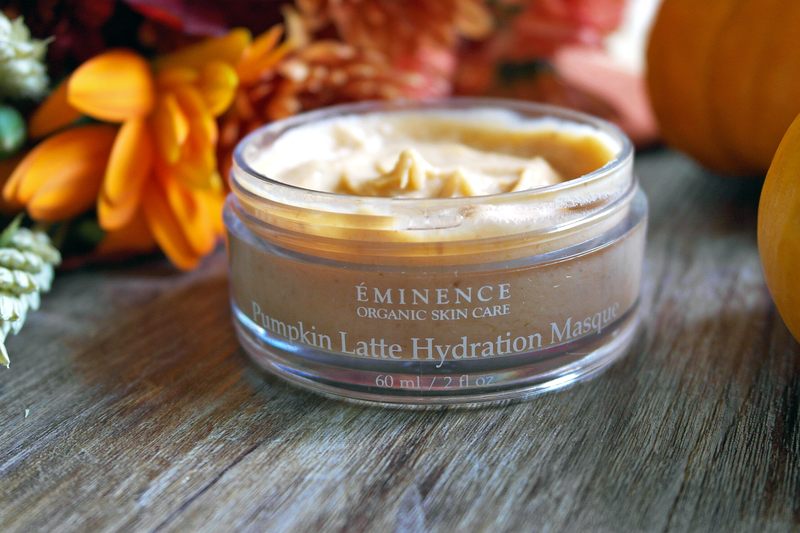 The Éminence Organics Pumpkin Latte Hydration Masque is a revitalizing facial treatment formulated with a blend of organic fruit and vegetable extracts, as well as protective antioxidant-rich oils, pulp extracts and vitamins designed to deeply hydrate skin, repair it from sun damage, and rejuvenate tired complexions. It’s also infused with pumpkin puree and pumpkin seed oil which restores dry skin and promotes natural moisture balance with vitamin E and Omega 9 nutrients. The nutrient-rich goodness in this masque is especially beneficial during the dry fall months when there’s less humidity and moisture in the air. 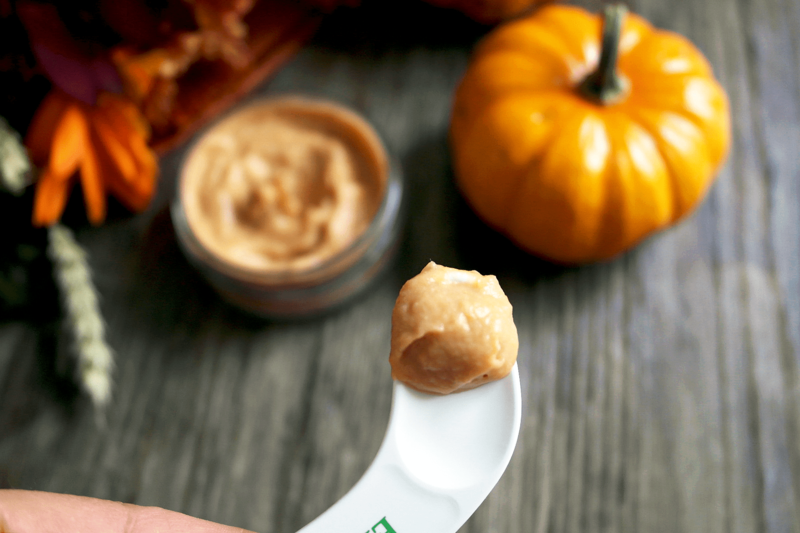 This masque has a puree-like texture, smells exactly like pumpkin pie and looks good enough to eat! It comes packaged in a 2 ounce jar and retails for $48. Yes, there is a small amount of product for the price, but it is organic and all natural, and since you only need a tiny bit for each application, a little goes a long way. 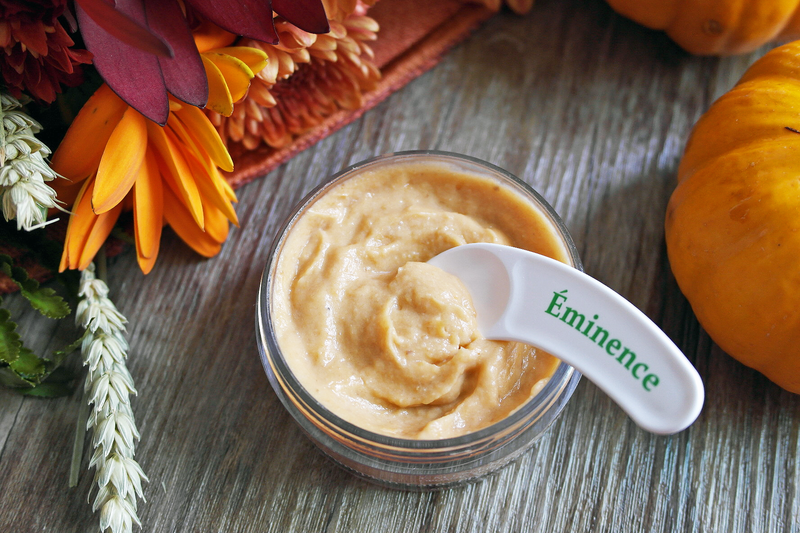 For a smooth and even application, emulsify a small amount of the Éminence Pumpkin Latte Hydration Masque in the palm of your hands with a little bit of water and spread all over the face and neck avoiding the delicate area around the eyes. Allow the masque to dry for 5-10 minutes, then use a warm damp facial cloth to remove. When you apply it to your face, you definitely feel it working. There’s a little tingling at first, but it’s not unpleasant. This mask leaves my skin feeling soft, smooth, and plump. Not to mention that it smells incredible! Think of it as desert for your skin without all the calories! This is one of my go-to masks when my skin needs a little extra dose of TLC. I recommend it if you have normal to dry/dehydrated skin. It’s also great for those suffering from acne as the healing vitamins in this mask also help reduce the size of pores and excess oil. As this is a seasonal product, the mask is only available for a limited period of time (September 1st to December 31st). If you’re interested in trying it out, make sure to grab one for yourself before they sell out! I purchased mine from Beauty Sense, check them out here. 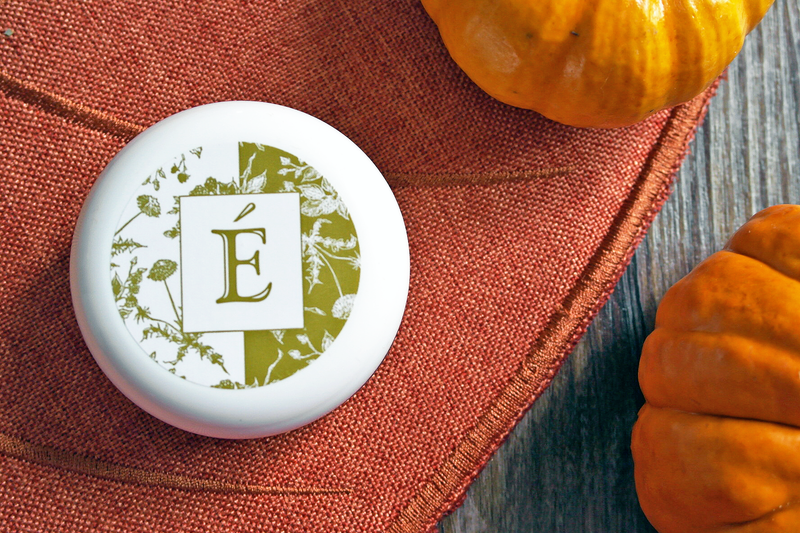 Are you a fan of pumpkin skincare? Let me know in the comments below!